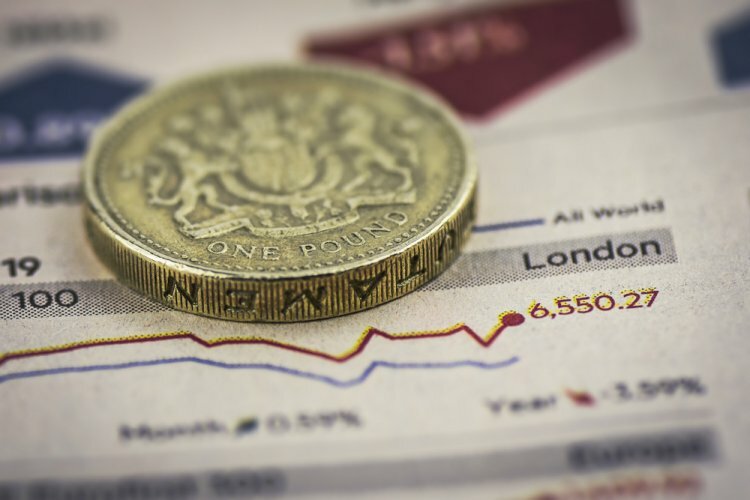 With the UK currently facing falling real wages and slower growth than many G7 countries, there was a great deal of pressure on Chancellor Philip Hammond going into the Budget. Within the investment and pensions industry, there was certainly some worries that the chancellor could make a grab for cash to both balance the books and/or to make bold moves elsewhere in a bid to woo large swathes of voters. In the event, far from balancing the books as many had expected, Hammond delivered a Budget with increased spending and some giveaways. So, how did investments and pensions fare on Wednesday? From April 2018, the capital gains tax (CGT) allowance rises from £11,300 to £11,700, a 3.5% increase. The allowance represents the amount an individual can make from asset sales during any given financial year without any CGT falling due. CGT is important as it ultimately impacts investors' returns when they sell assets for a profit. While your primary residence is exempt from CGT, it does apply to second homes and long-term investments, including share holdings. The change means that for a married couple a maximum of £23,400 in CGT allowance will be available in the 2018/2019 financial year. On the plus side, transfers between spouses are still exempt from CGT rules. If spouses are subject to differing tax rates, i.e. if one is taxed at the higher rate and the other at the basic rate, they can transfer more of the gain to the lower-rate taxpayer to reduce the overall tax bill. For assets held in a trust, the CGT allowance will rise from £5,650 to £5,850. Many had feared the chancellor would use the Budget as an opportunity to reduce tax breaks. While the standard ISA allowance remains at £20,000, the Junior ISA allowance rises from £4,128 to £4,260 as of next April. It means you will be able to pay a maximum of £4,260 per year into a Junior ISA and there is no tax payable on interest or investment gains. You can use a Junior ISA to build up a decent nest egg for your child until they reach 18 years of age. The Junior ISA allowance applies to the cash version, which is akin to a building society account, as well as to the stocks and shares version. From next April, the so-called lifetime allowance on pensions will rise to £1.03m, an increase of £30,000. Any increase to the lifetime allowance should be welcomed by pensioners with significant benefit pots as well as those saving for their retirement. It represents the amount of pensions benefit than can be drawn or paid from pensions schemes without additional tax charges being levied. For people on the cusp of the allowance threshold, some simple tax planning might be in order. Even those who have not yet retired may be advised to take some action to ensure their pensions benefits do not cross the limit. A Junior ISA can be held as cash or invested in shares. While only a minority will have pockets deep enough to take advantage of this change, it was certainly one of the boldest moves of the Budget. The chancellor announced that the amount permitted in an Enterprise Investment Scheme (EIS) to qualify for tax relief would double from £1m to £2m. It is likely to be an important consideration in tax planning for high net worth, UK-based individuals. EIS was set up to encourage investment in small, non-listed companies. Individuals can get up to 30% upfront tax relief by investing in an EIS, with Hammond’s move therefore raising the potential tax saving from £300,000 to £600,000. At the same time, the chancellor added the caveat that the increase would apply to investment in “knowledge-intensive” companies. The move indicates that Hammond is keen to stimulate investment in small, higher-risk businesses. Overall, this turned out to be a decent Budget for investments and pensions. Overall, this turned out to be a decent Budget for investments and pensions, especially as many feared the chancellor could have used the Budget as an opportunity to reduce some of the tax breaks already on offer. In the event though, this Budget wasn’t about balancing the books. The biggest headline-grabbing giveaway of the Budget turned out to be the move to help first-time buyers get a foot on the property ladder by abolishing stamp duty on homes worth up to £300,000 or the first £300,000 of a home valued up to £500,000. There was also more spending on the NHS as well as for the government’s controversial welfare scheme, Universal Credit. Increased spending combined with a net tax reduction saw the Office for Budget Responsibility (OBR) warn that the government would fail to eliminate the budget deficit by the middle of the next decade as it had previously promised. Nevertheless, the UK government bond market was relatively unfazed by the additional borrowing that will take place over the coming years. Sterling was also undeterred, rising modestly against the dollar on Budget day. Against the uncertainty of stalled Brexit talks, expert analysis was less forgiving, with the OBR downgrading its economic growth assumptions for the UK economy over the next five years, citing lacklustre productivity. Meanwhile, the Institute for Fiscal Studies drew attention to the problem of stagnating wages, an implicit factor in the OBR’s downbeat projections.